c.1740 German (Saxony) goblet with cover engraved in Holland with the arms of Anne of Hanover, 1709 - 1759, daughter of George II of England. 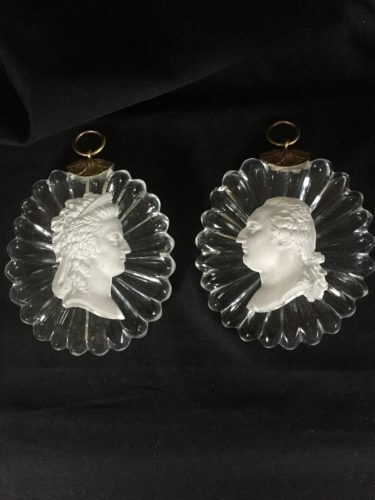 Pair of fine quality sulphide plaques of Louis XVI and Marie Antoinette by Baccarat. French c.1830. 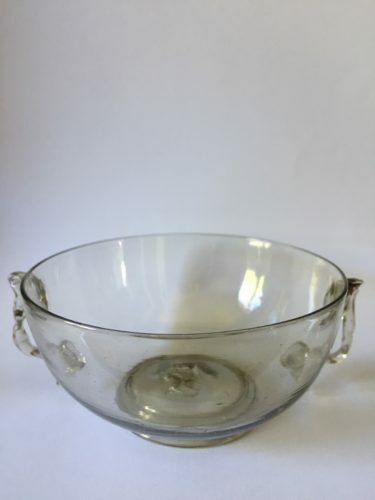 17th century Spanish or South West French small two handled bowl; perhaps, a marriage cup. 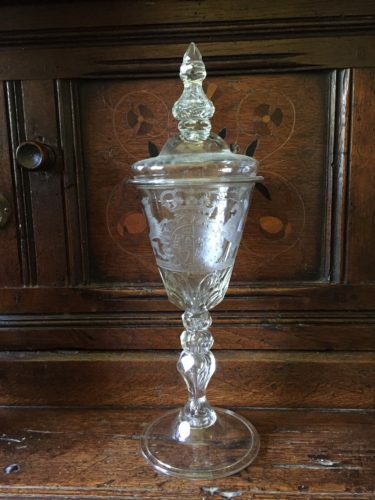 Drinking glasses and other table glass from the 17th to 20th centuries for collectors and those who like to use glass from the past.